The proposal is one of two being put forward by Kent and Medway NHS for changes to hospital services in east Kent. There are two proposals concerning A&E. The first option is for an A&E at William Harvey Hospital as part of the major emergency centre which would also provide specialist services plus an A&E department at QEQM. The second is for an A&E department for east Kent at a major emergency centre within a new-build hospital at Canterbury. This would mean that A&E, acute medical care and complex inpatient surgery, which currently take place at William Harvey and QEQM, would relocate to Canterbury. Both of the options propose bringing together all specialist inpatient services, including trauma, specialist heart services, inpatient treatment for veins and arteries (vascular services) and specialist renal, urology, head and neck services and children’s inpatient services in a major emergency hospital with specialist services. “Few would quarrel with that aspiration and I have never personally sought to stand in the way of measures, including for example the re- location of Neonatal Intensive Care or the creation of a hyper-acute stroke unit backed up by stroke recovery centres, that I am persuaded will be in the long- term healthcare interests of those that I have been elected to represent. Sir Rogers says that due to an increasingly elderly population and the road and public transport systems a large ‘teaching hospital’ would need to be in Whitfield rather than Canterbury. He added: “There is also the small matter of the £800 million plus that would be required to build, staff and equip one large hospital, wherever it is located, together with the network of GP super- surgeries that would be required to support such a development. .That money is not at present available and funding is already committed, not before time, to expanding the A&E units at the QEQM and the William Harvey. 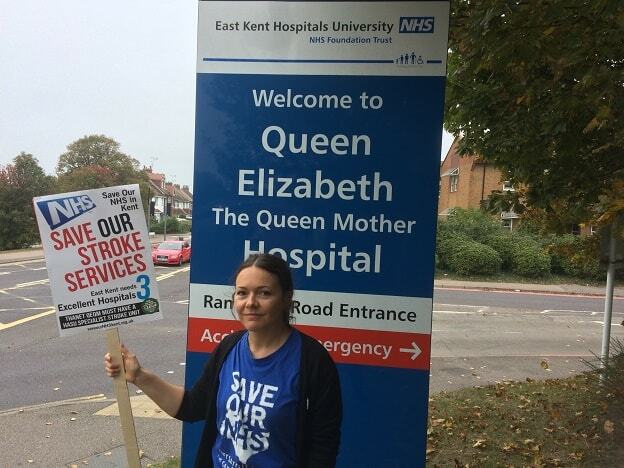 Carly Jeffrey, of the Save Our NHS In Kent campaign group, said the fight is for essential services in all three main east Kent hospitals. She said: “Roger has thoroughly condemned a new hospital at Canterbury, but all he is doing is falling into the usual trap of one area fighting its neighbours for essential services. What’s the use in pushing to keep our hospital in Thanet full of the services we need, if other hospitals in the area are being degraded and suffering closures bit by bit? 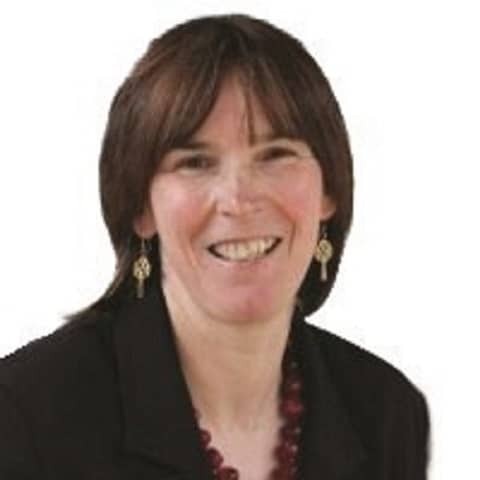 Labour Parliamentary candidate for South Thanet, Rebecca Gordon-Nesbitt said the proposals appear to be a first step in downgrading QEQM services. 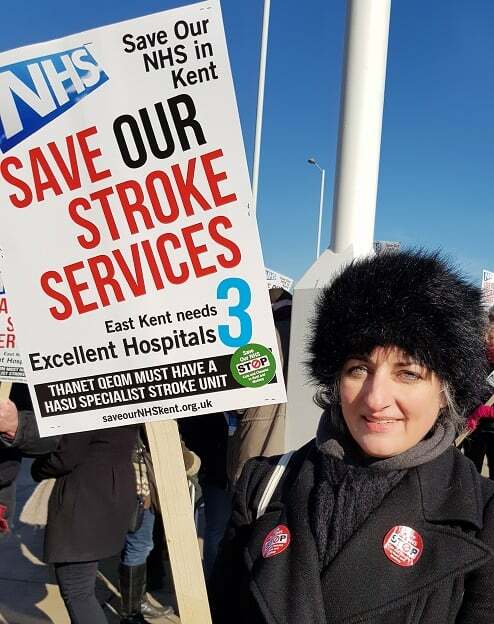 She said: “I have grave misgivings about the proposals being put forward by EKHUFT to centralise East Kent’s health services in Canterbury or Ashford. 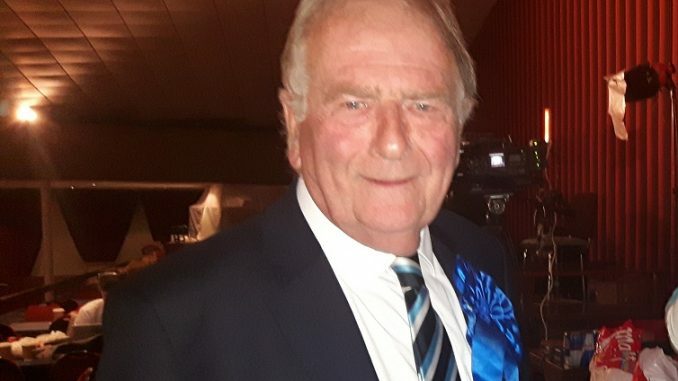 “I disagree with Sir Roger Gale that the proposal to remove stroke and neonatal intensive care services from QEQM is in the ‘long-term healthcare interests’ of the people of Thanet. It feels very much like the first steps in downgrading Thanet’s hospital, and it seems sadly inevitable that other closures are now being proposed. “Thanet suffers from huge health inequalities and poor health outcomes. By removing services from this deprived population, health commissioners would be failing in their statutory duty. Our MPs should be holding them to account. Initial analysis carried out by the Trust estimated a new build hospital would cost circa £665.3million. However, this estimate was made before the offer from Quinn Estates to provide the hospital shell in Canterbury as part of a development of 2,000 new homes. The document says of the Quinn proposal: “A proposal has been received from a commercial third party, to build the shell of new hospital in Canterbury, adjacent to the existing K&CH site and gift this to the NHS. “This proposal represents an opportunity to consider a further option that would see the construction of a single major emergency centre with specialist services in Canterbury, on and adjacent to, the current K&CH site. This would be supported by two peripheral hospitals) no longer providing emergency care. It’s about time that the Tories actually listened to the concerns that have been raised for the past few years. The NHS needs both more cash and a robust workforce plan. Here in Thanet we have workforce issues that are not being addressed. Our NHS services are crumbling away due to Government bungling. We need the right staff, with the right skills, in the right place, at the right time. Stop reorganisations. Consolidate what we have. Push the difficulties upstream to Nick Hancock. Thanet NHS is sinking and will not be baled out by any amount of distraction from the root cause of the problem. Roger has thoroughly condemned a new hospital at Canterbury: but he is still falling into the usual trap having one area fight another for services. What’s the use in pushing to keep our hospital in Thanet full of the services we need, if other hospitals in the area are being degraded and suffering closures bit by bit? 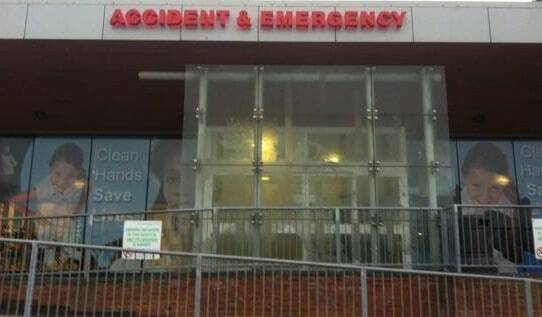 The downgrade of Canterbury’s A&E some time ago has had an impact on Ashford and QEQM’s A&E – waiting times are very high. Let’s unite with Canterbury and Ashford, and say no to all of these centralisation plans – after all, there’s no evidence that centralising A&E improves patient outcomes. In the studies we’ve seen, the NHS throw money at centralisation plans, and the outcomes still don’t improve – they stay the same. Imagine if they invested that money and DIDN’T relocate services, adding longer journey times – maybe then we’d see a genuine uplift in patient outcomes! Those of us who have worked in our local NHS for years will know what I am talking about when I say we have heard lie after lie being told about the NHS from those faceless wonders called ‘directors’or chief Executive’s. They have NOT been appointed to their over paid jobs to improve the NHS they are being paid to reduce the NHS services so to make the NHS more attractive to private companies. There is NOTHING that the Conservatives have done in all the years they have been in power that has gone well and been successful, not ONE THING. Just look at the history of the last forty years. Selling off council houses at less than half their true vale at great loss to the taxpayers and causing an housing shortage. Selling off utilities company’s at much less than their true value and giving us much higher bills to give shareholders more money. Result great financial loss to the taxpayers. Selling off banking shares less than their true value , result great loss to the taxpayers whilst making those who brought the shares millions. Selling off NHS land to developers again at great loss to the taxpayers, making the developers millions of pounds richer. Labour spend spend spend to improve things for all whilst the Conservatives waste waste waste taxpayers money for their own selfish ends. Now with Brexit looming they are going for the mega loss they are about to lose the taxpayers billions and billions of pounds due to their total incompetence and mismanagement to get the UK out of Europe. As one of their own MPs said this week they really are a s**t show. 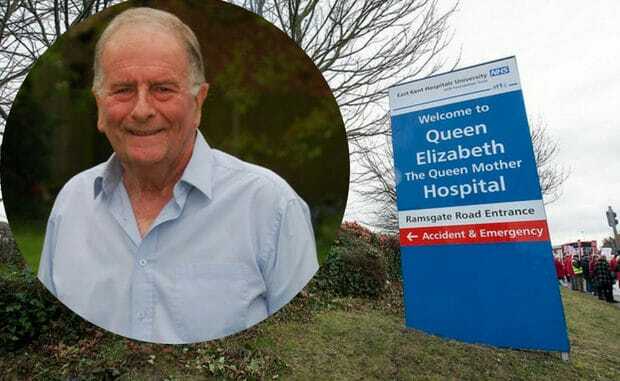 We hope that Sir Roger can also change his mind over the stroke unit decision. He doesn’t seem to be in full possession of the facts on that matter. SONIK are about to provide him with a detailed briefing document, which we hope he will read and take into account. No other area in the country has such a large number of residents outside the 45 min journey time to a stroke unit, and the study that the stroke plan hinges on had an upper limit journey time of 30 mins (London)! Roger needs to look again at this. I have had many appointments at William Harvey, at various times of the day, and can honestly say that it is impossible to get from Ramsgate to William Harvey in an hour. It is totally unacceptable for the residents of Thanet to be put into this position. Patiants must have visits from relatives to aid their recovery and it is very very difficult and expensive to make the journey on Public Transport. Stop this rediculous plan NOW. Who is this Roger Gale guy? I’m assuming given his sociological outlook this is no surprise to him. He’s wholeheartedly supported the idioligy behind these closures. I’m trying to decide, is he a fool or a ****. It’s hard to tell. Roger Gale needs to listen to Thanet people! Can anyone say they support these radical changes? It’s all about cuts and prioritising the richer areas of Kent over Thanet to live longer!